What comes in the “standard” startup package? Which coverages am I required to have in place so I can open a microbrewery, nanobrewery, or brewpub? Folks starting new breweries—and plenty of long-time owners, too—call to ask for the baseline minimum. After all, running a business comes with all sorts of hidden costs and unforeseen expenses. No one wants to shell out extra money for insurance—which is basically a business tool you can’t see, can’t touch, can’t even use unless something goes wrong. Unlike a typical restaurant or bar, the products and equipment inside your microbrewery are especially costly and time-consuming to replace. In the event of a fire, prolonged power outage, tank leak or other machinery failure, you have to consider the potential loss of business income, product spoilage, and other unique concerns. 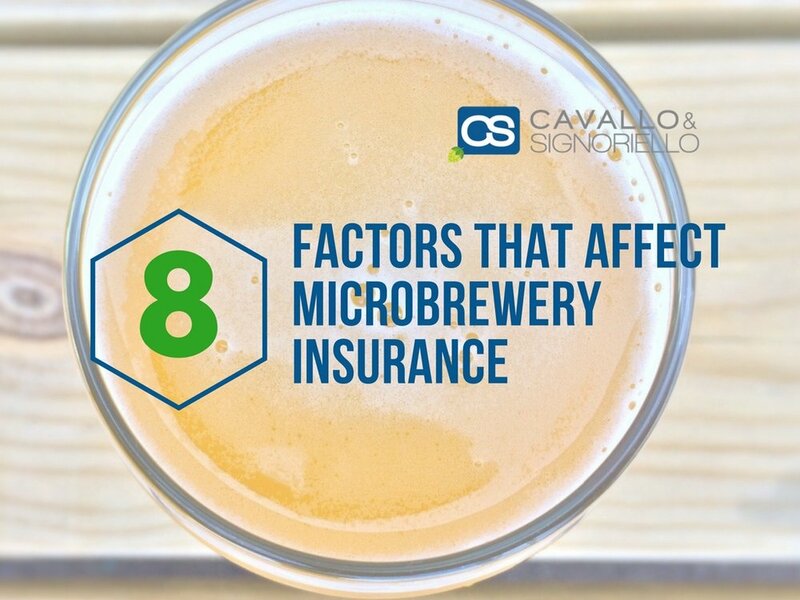 Only an agent with experience in microbrewery insurance can advise you property coverage blanket limits based on your in-house capacity. Allegations of wrongdoing don’t just damage your brewery’s reputation; they’re often expensive and drawn-out legal events—and that’s before they even get to a courtroom. It’s difficult to anticipate how much liability coverage you’ll need (on a “per occurrence” basis and in aggregate) without enlisting an industry professional. Even if you opt to forego certain coverages as a startup operation, it’s important to at least understand the different types of risk and protection—from liquor liability, to special events, to employment practices liability (employee lawsuits)—as your brewery grows and evolves. We know lots of microbrewery startups begin with a pair of spouses, siblings, or hometown buddies, which might seem to negate the workers’ compensation discussion… But the truth is that most small businesses in the Commonwealth of Massachusetts are required by law to have a valid workers' compensation policy at all times—even for a staff of just two people. If your business is an LLC, LLP or otherwise qualifies for exemption, there’s still a conversation to be had. Chances are you don’t intend to be a two-man (or two-women) show forever. Anticipating the measures and protocols that will affect your workers’ comp rates is a smart thing to start doing now. Take advantage of the free advice you can get from a dedicated brewery insurance agent.